With a passion for design, walkability, and alternative modes of transportation after traveling and experiencing different parts of the world, I hope to help implement smart planning while also advocating safe and walkable cities at every opportunity. 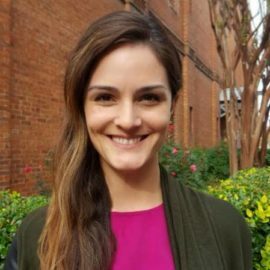 Since completing her master’s degree in Urban and Regional Planning from the University of Florida, Angela has gained professional design and planning experience working in both public and private sectors, on local and statewide levels. Her education and background include architectural design and planning focused on urban design, walkability and transportation. Over the past several years her list of professional experiences have included neighborhood visioning/branding, comprehensive planning, bike and pedestrian safety initiatives, public involvement, graphic design and GIS support.